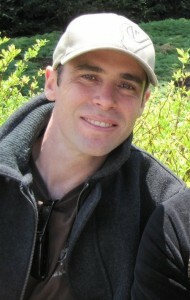 Aaron Rockett has over ten years of experience as a Washington, DC filmmaker. Aaron worked for The NewsHour with Jim Lehrer on PBS before forming www.thefullmonte.com in 2004, a website dedicated to reporting on conflict zones around the world. Throughout his travels he has produced numerous independent documentaries and video diaries. His independent short documentary, “Vacationing in Afghanistan” screened at film festivals, aired on PBS, and now has over a hundred thousand views online. In addition, Aaron has shot for The History Channel, edited for Deutsche Welle (German Television) and was field producer in Afghanistan for two National Geographic Channel documentary specials, “Inside the Taliban,” and “Inside Al Qaeda.” He also edited seven films for USAID in Afghanistan focused on the country’s reconstruction effort. In 2008, Aaron directed a feature length documentary film, “The Fixer: Afghanistan Behind the Scenes,” which was critically received at international film festivals and featured on CNN. Aaron was Executive Producer for Verizon’s new cable system, FiOS1, producing a daily half-hour show featuring people, places, and stories in Washington, DC. Aaron has worked years as a video journalist for Verizon and has extensive experience teaching video journalism and editing for the Travel Channel, BBC, and Rosenblum Associates. Aaron holds a master’s degree in strategic communication from American University and an undergraduate degree from Saint Mary’s College of California.